As a Diocese we have a vision of Living God’s Love so that God’s Kingdom might grow in this world. In seeking to realise that vision our objectives include a desire to grow the faith of children and young people, and to protect the vulnerable. If we are to achieve those objectives we must ensure our churches are safe, and seen to be so, and therefore our safeguarding policies and practice are core to what we do.In October 2016 the Diocesan Synod affirmed its commitment to safeguarding all God’s people. It adopted the national policies and Practice Guidance for Safeguarding within the Church of England and commended them to the deaneries and parishes for adoption and implementation. In the website pages below, you will find a range of policy documents and resources to help you ensure that safeguarding in our parishes is of the highest standard and our churches are a place of welcome and safety for the young and vulnerable. I commend them to you. Every day, throughout our churches much valued work with children, young people and vulnerable groups is carried out by people, often on a voluntary basis. The contribution they make in nurturing and guiding our children in the Christian way of life can never be over-estimated. Sadly it is a fact that adults will attempt to infiltrate any organisation to abuse children or young people. The church is unique in its ministry to both those who have been abused and those who have abused. We therefore need to create and maintain a culture of informed vigilance to safeguard and promote the welfare of children and vulnerable adults. Safeguarding involves everyone, and we all have a duty to protect children and vulnerable adults from harm, abuse or neglect. 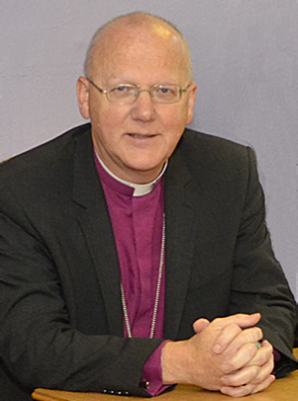 It is important that you all are aware of the issues around safeguarding within the church. It is only with everyone’s attentiveness and assistance that we can make the church as safe a place as it can be. The attached safeguarding pages are not only intended to provide ease of reference for Parish Safeguarding Officers and Lead Recruiters, but are intended for all those with a safeguarding responsibility, or who will have regular contact with, or a duty of care for children and/or vulnerable adults within the church community. This guidance is not intended to be exhaustive and further advice or direction will always be available from the Diocesan Safeguarding Adviser (DSA). The DSA will ensure that all relevant and up to date documents are published, are available in one place and can be easily referenced by you. The CCPAS helpline number 0303 003 1111 or 01322 517817 (Option 2), is available every hour, every day. Please bear in mind that outside office hours, the helpline should be used for urgent advice only. To access these courses please follow the instructions in Newsletter No. 6.